Chapter 1 of Interdisciplinary Interpretation is to a degree a literature survey. Reynhout does not make any claim to be exhaustive, but instead highlights "four influential answers to the interdisciplinary question: Ian Barbour's Critical Realism, Wolfhart Pannenberg's argument for theology as a science, David Tracy's correlational model of public theology, and Wentzel van Huyssteen's model of postfoundationalist rationality" (xv). Each thinker gets roughly half a dozen pages, and while no one receives a perfect score from Reynhout, he notes positives in each thinker's work. For this post I will limit myself to Reynhout's exploration of Pannenberg's Theology and the Philosophy of Science, since I know Pannenberg the best out of the four. Initially Pannenberg appears be a promising resource for Reynhout, since Pannenberg uses "hermeneutical philosophy" to engage the sciences and to develop the “argument that theology is a science” (9). As was mentioned in the first post, Reynhout has also chosen to use hermeneutical philosophy to help him think through interdisciplinary concerns. To understand how Pannenberg uses philosophy, Reynhout lays out his response to "philosophies of science common in the analytic tradition" and "philosophies of the historical sciences that utilize hermeneutical or dialectical models" (9). For Pannenberg's engagement with the analytic tradition, Reynhout discusses Pannenberg's evaluation of Karl Popper (9-11). Popper had the "desire to solve the so-called demarcation problem, the quest for a rule that clearly separates scientific from non-scientific (or metaphysical) statements," and leaned on "falsification" to do so (10). For Pannenberg however this actually opens the door to metaphysics in more than one way, the fact that it "depends on a metaphysical view of truth as correspondence" being one example (10). Furthermore, falsification makes Popper's goal of "a single scientific method impossible," since "historical sciences" cannot be pursued in that way (10-1). For the hermeneutical and dialectical models, we turn to Wilhelm Dilthey (11-3). Unlike Popper, Dilthey worked out of "the underlying psychology of the scientist," arguing "the human sciences require an understanding or descriptive psychology . . . [while] the natural sciences require an explanatory or analytic philosophy" (11-2). 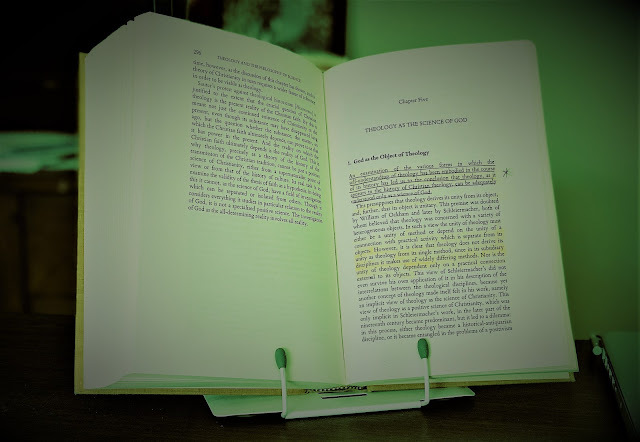 According to Reynhout Pannenberg relates Dilthey's "explanation and understanding" to "parts and wholes"; "explanation prioritizes parts over wholes, whereas understanding prioritizes wholes over parts" (12). Explanation deals with “particulars,” and according to Reynhout’s reading of Pannenberg the "basic structure of fitting individual parts into total patterns of meaning is common to explanation across scientific disciplines, natural and human, and also to the disciplines of philosophy and theology" (12-3). Therefore theology is a science for Pannenberg, with "the 'totality of reality' as its framework of meaning" (13). In the initial post on Reynhout's book it was shown that he also wants to think in terms of explanation and understanding, so again Pannenberg's view seems promising (cf. 14). However Pannenberg stumbles for Reynhout when he "denies a role for hermeneutics in the natural sciences" (13). Apparently for Pannenberg the natural sciences operate independently of "a unique, historical context," so there is no need for "interpretation" (13-4). Reynhout hints that he will deal with this issue further later in the book (14; also cf. intro). There is one other criticism to note as Reynhout concludes his analysis. Essentially, for Reynhout Pannenberg's approach lacks specificity, with "distinctiveness of scientific practices" left to the side (14). There is more nuance to Reynhout's reading of Pannenberg than I have been able to give here, so be sure to check out his reading of Pannenberg, but also of Tracy, van Huyssteen, and Barbour. There's a lot more material worth your time in this chapter, but hopefully this post gives a taste of it. Lastly, I've spent some time working with Pannenberg, and I commend Reynhout's brief analysis, as I learned from it and have a better understanding of what Pannenberg is up to. I'm going to have to pick this book up seems like a gem. I'm curious what you think of the claim that Pannenberg views the natural sciences as "hermeneutics free." I think he might tend (perhaps quite a bit) in that direction certainly, but it might be overstating the case? Pannenberg is familiar with Kuhn and Polyani's criticisms of positivism for example, and his use of Popper explicitly opens not just the human sciences but the natural sciences to philosophy/ theology. He frequently relies on Max Jammers contention that field theory utilizes Stoic concepts, for example. Though undoubtedly he end up far from any "social construction of reality" theories or the anarchism of Feyerabend. Pannenberg's opinion about this is quite clear and explicit, which I carefully document in the book, but Derrick is right to be a little surprised by it because it does seem out of sync with other moves Pannenberg makes in TPS and elsewhere. It is important to keep in mind that Pannenberg, writing in the early 70s, is very much in line with his contemporaries. Gadamer, who along with Dilthey had the most profound influence on Pannenberg's philosophical hermeneutics, never admitted that the natural sciences were hermeneutical. Neither did Ricoeur during this period - he eventually changed his mind a few decades later. Neither did Kuhn, by the way. Despite what might seem obvious to us about Structures it took many years before Kuhn was willing to call natural science "hermeneutical." All of these people opposed positivism, so that alone was not enough to force the conclusion that the natural sciences have their own forms of hermeneutical practices. Pannenberg was no different, it seems. Thanks for this post. Since I don't have the book, would you, Derrick (or maybe you, Ken, if you're listening in) like to say a word or two about how Tracy's proposal fits into the project? Great question, Scott. Tracy is not usually associated with theology and science (although I show in the book how he eventually connected his correlational method with the interdisciplinary question). In fact, I had not planned on using him, but a few things eventually changed my mind. (1) Most importantly, since I am arguing that Ricoeur provides a useful framework for what is essentially a question of theological method I was in some sense obligated to deal with Tracy. This became clear to me as I approached the fifth and final chapter, where the question of Ricoeur’s association with “Chicago school” of theological method was an important issue (in the person of Tracy, with whom Ricoeur taught for a time at the University of Chicago). At that point I decided to return to my opening chapter and add a piece on Tracy – which was not too difficult since I had worked on Tracy in the past. Since I (and anyone else who works in theology and science) also affirm the need for theology to be in dialogue with culture, and since Tracy’s critics could very well be the same people who distrust interdisciplinary theology, it seemed prudent on my part to engage Tracy. I will eventually argue that there is a third way between Tracy and his critics (or, more accurately, between Tracy’s critics and the position they associate with Tracy). 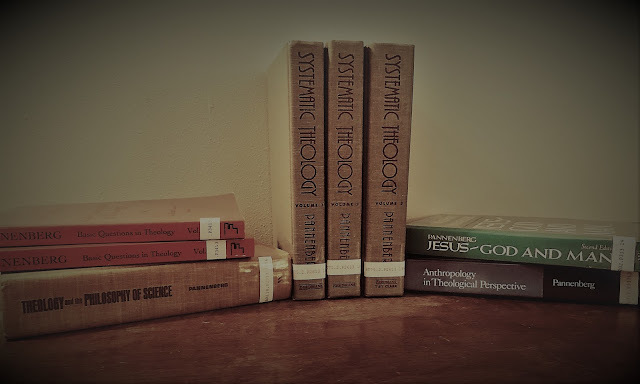 (3) Mainstream systematic theologians are all very aware of Tracy’s work, whereas Barbour, van Huyssteen, and even Pannenberg’s methodological work in Theology and the Philosophy of Science are not well known outside of theology and science circles. So, Tracy is a bit of a bone for my intended audience. Plus, one of my dissertation committee members studied with Tracy at Chicago. All of these factors eventually made Tracy’s work unavoidable. How it all fits together will (hopefully) become clearer by the end. Thanks for this helpful response. Your hunches on Tracy seem correct to me (as someone who hasn't really read him in quite a while). I agree his debt to Tillich is great, and the hermeneutical turn helps him go beyond Tillich to accommodate a richer and more pluralistic dialogue. On the RC side (which you're right to highlight too), I think Lonergan made a substantial impact on Tracy's thinking -- (My own attempts to read Lonergan didn't go to far, which says more about my own limitations than the material itself). Though I'm not that current on science-religion discussions, your project overall sounds very promising, and I look forward to reading more about it. It seems to me a hermeneutical approach to the natural sciences -- as well as the social sciences -- would be a good counterweight to the naive positivism that stills seems prevalent today.